Reach moms and introduce them to the Sauza Tequila brand. An event that lays the foundation for brand affinity and loyalty. Create and produce “Ladies Night In” parties in New York, Chicago and Los Angeles at the homes of influential, trend-setting bloggers hosted by Food Network star Marcela Vallodolid. 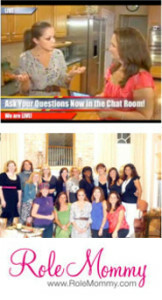 Parties featured live webcast, photo sharing and Twitter event component. More than 3 million impressions via blog posts, Facebook, Twitter and Project You page views.